This Notre Dame Fighting Irish Garden Flag and Holder set includes our 13x18 inch officially licensed garden flag and garden flag holder with rubber stoppers. The garden flag holder is the recommended holder to proudly display this garden flag anywhere in your yard, flower pots, garden, or entranceway. 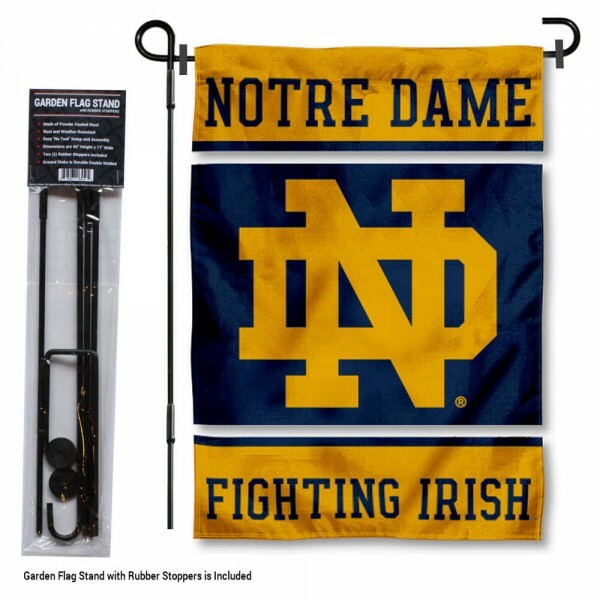 This Notre Dame Fighting Irish Garden Flag and Holder set is a great gift and includes the recommended flag stand hardware so it's ready to install and to fly proudly!